T17059-RB is rated 4.3 out of 5 by 8. Rated 5 out of 5 by Graham from Good value, works well This item looks nice, installed easily and functions as per its decription. Ours is only two months old so I cannot comment on reliability yet. Rated 5 out of 5 by Mary from Nice quality This is a nice solid trim package. The volume control is a nice feature. So far working well. Rated 5 out of 5 by Doug from Great product Very good looking, works as described. Clean look my clients were looking for! 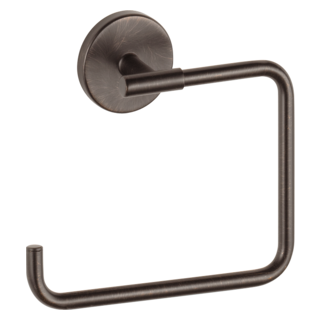 Rated 5 out of 5 by Tenish88 from Sturdy Handle feels sturdy and sleek. Rated 4 out of 5 by SBeck27 from Very Easy to Use My contractor said it was very easy to install and my two boys find it very easy to use. Just turn it on and it is set to the temperature from the previous shower. So far, the temperature has been accurate. 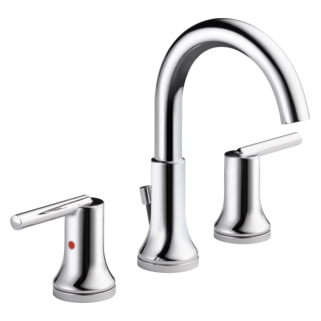 I also purchased two sink faucets in the stainless and I do find that they look very spotty from the water. Will need wipe them down often to keep them looking good. 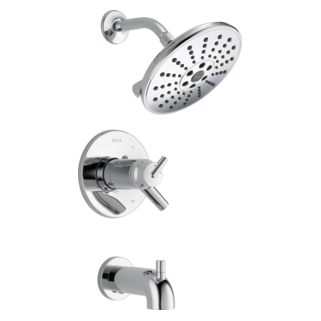 Rated 4 out of 5 by Mark from Performs as expected I bought this shower valve and trim set because of the moderate price, clean look, dual function, and good reviews. It has been in service for 3 months along with a waterfall shower head and has performed well. The materials (some plastic) and chrome finish are acceptable, although my control set is mounted away from the shower spray, which should help with durability. I really like that the water volume and temperature are individually adjustable. Rated 5 out of 5 by dianeDill from Perfect for what I needed I set it for same temperature for everyday. Just get in shower and turn level on! Love it. Rated 1 out of 5 by Angry in MI from Poor Quality This Unit started leaking hot water 1 month after installation. Rain shower head with trim? 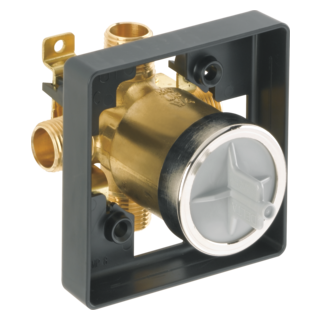 I want to use a rain shower head (delta RP50841) overhead and control the pressure and temperature using this Trinsic 17 Series MC Valve Trim. Will this work? Do I need any other parts to do this? Hi Lise, You can use the raincan showerhead part number RP50841 with the trim T17059. The only thing extra that you will need is a shower arm such as RP46870 and a showerarm flange such as RP46872. 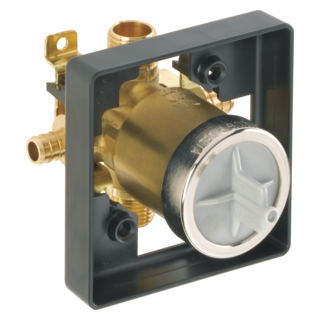 I plan to buy the Trinsic 17 Series MC Valve Trim. 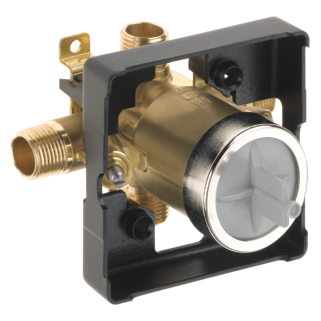 I need to know exactly the &quot;rough&quot; valve for it and for the Trinsic 3-function diverter valve. I'm having a hard time finding online both the Trinsic 17 Valve Trim and the Trinsic 3-function diverter trim and figuring out which &quot;rough&quot; valves match these trims. 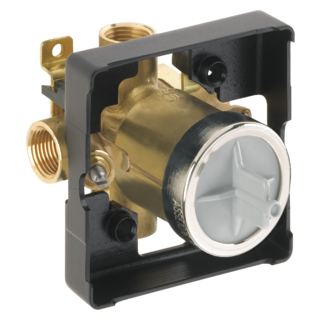 Also, the style of the 3-function diverter isn't an exact match to that of the 17. Any reason for that? I can send photos if requested. Thank you for your question. 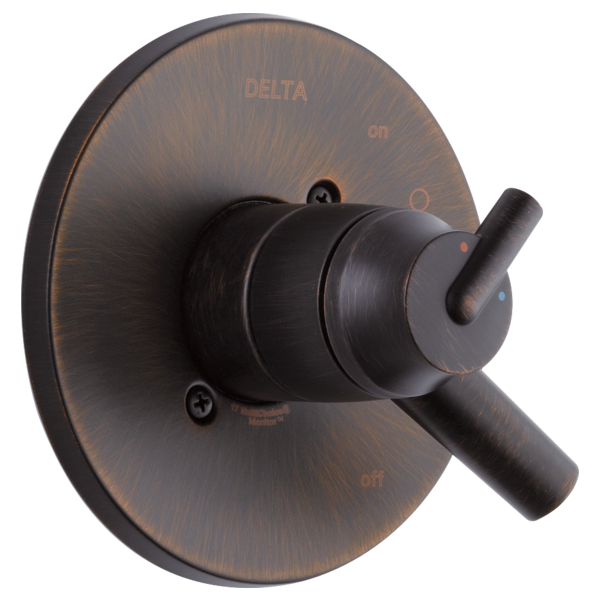 We recommend using Delta Faucet model R10000-UNBX with your T17059. 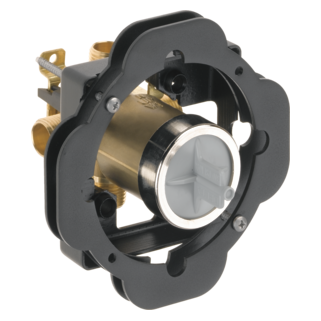 For your diverter rough-in valve, we recommend the R11000. 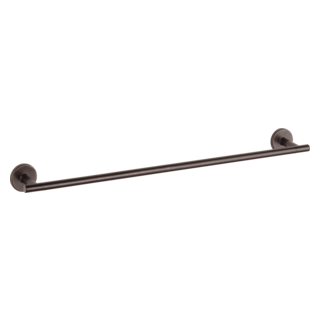 If you are adding one feature to your shower, we suggest the T11859 diverter trim. If you are adding 2 features to your shower, we suggest the T11959 diverter trim. Both of these models are in the Trinsic series. I&rsquo;m installing a single shower head setup. Want matching look of other bathroom that has a T27T959 valve. Will be using an R10000-UNBXHF valve. Want max flow and pressure - do I go with T17059 or T17T059? What&rsquo;s the difference between the two? I don't want to replace my older 1700 series rough in, will this work using the RP32104 cartridge? I don't want to have to pay a plumber to come out and swap rough ins. I do need to replace the cartridge and believe that the RP32104 is correct as it has the square key instead of the triangle the new ones have. Will this valve work with that cartridge? I don't see a Trinsic 17T option for a TempAssure cartridge? Does Trinsic trim support that option? Searching on TempAssure shower valve products, I only find Vero, Ara, and Arzo with contemporary styling. Could I replace the 17 pressure balanced cartridge with the 17T TempAssure in the Trinsic or Compel trims?